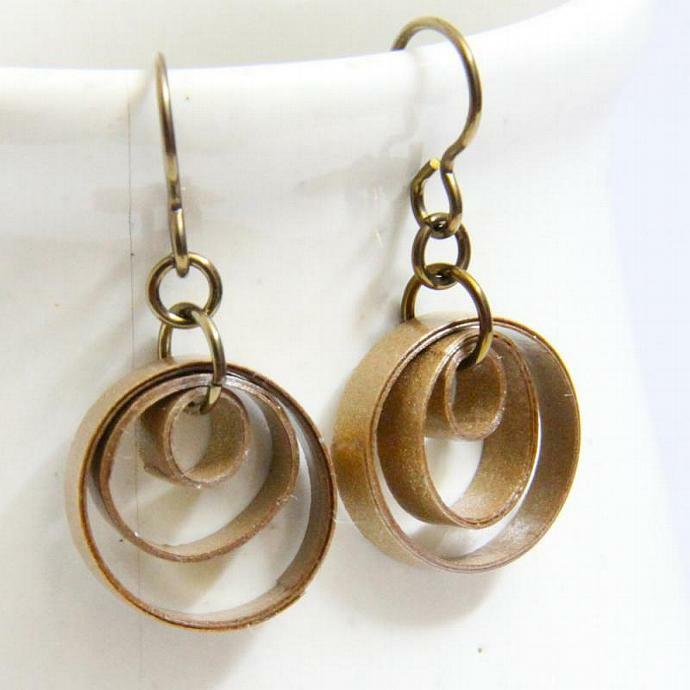 These eco friendly rad multi-circle earrings are handcrafted by the art of paper quilling. 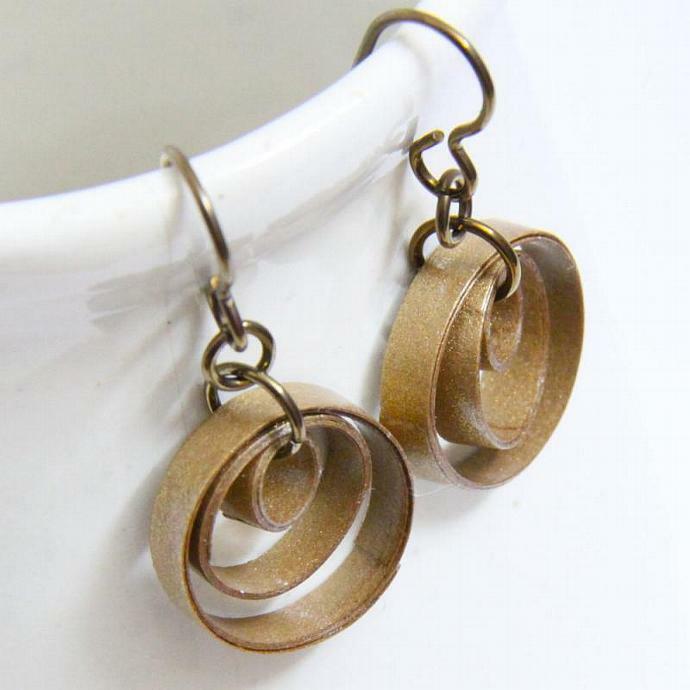 Strips of metallic gold specialty quilling paper are twirled into circles of varying sizes and hung together on a large jump ring. This creates a very swingy and loose design. Perfect for showing off! They are finished with hypoallergenic and non tarnish niobium findings, perfect for everyone, even those with the most sensitive of ears! 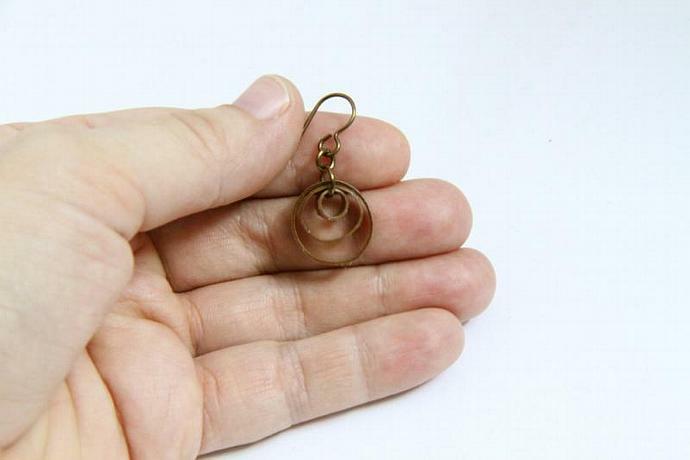 This listing is for a made-to-order pair of earrings, as the original pair has been sold. Please allow a few days for your special pair to be made. This pair is fancy enough to wear out on the town, yet casual enough to wear with jeans and a t-shirt! They are hand varnished with non-toxic water-based sealants for a sturdy, water resistant finish. Quilled earrings are super light-weight, gorgeous, delicate in appearance, yet last as long as other jewelry thanks to the water resistant finish. Care Instructions: Care for your paper quilled jewelry as you would any fine jewelry. 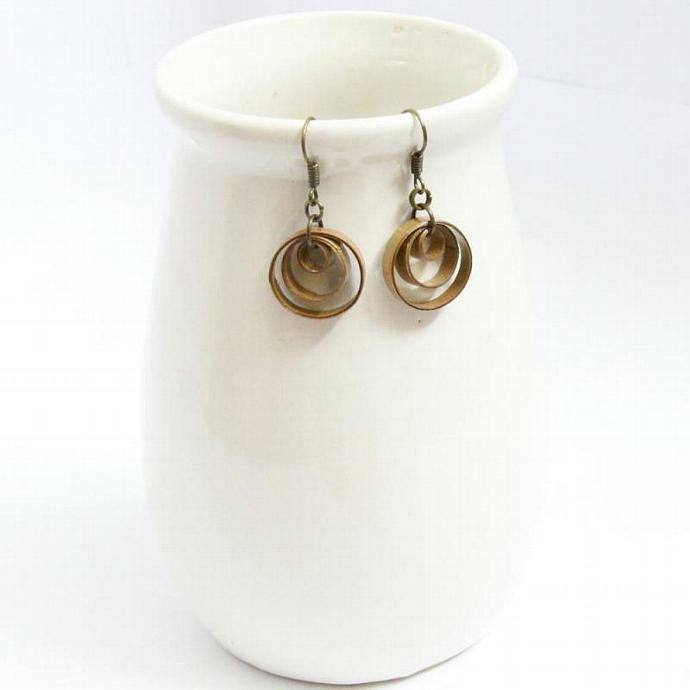 Keep it safe in a jewelry box or on an earring stand when not in use. They are water resistant, so rain won't hurt them. If they get wet, simply dab with a tissue. If they get very wet, dab with a tissue and lay out to dry. Do not wear while bathing or swimming. 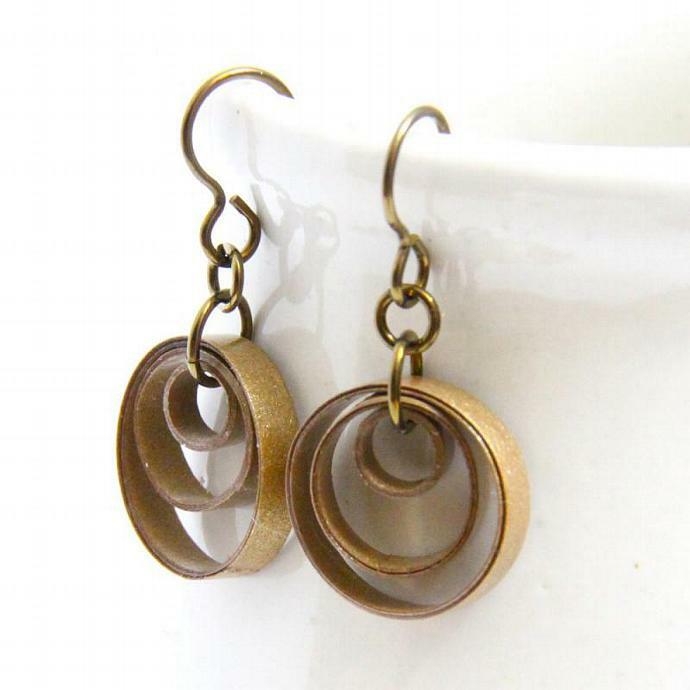 These earrings are very sturdy for being paper, but are not as sturdy as metal or plastic, so do be careful with them. Made with care by Honey - everyone deserves a unique look!